It took 50 years from the invention of the telephone to make transatlantic phone calls possible, as there was much more than the mere laying of a cable to achieve the feat, since the voltages involved in telephone calls were too low to be passed though such a long cable and there was no known technology for underwater repeater amplifiers. It wasn’t until the wireless was invented that across the pond communication became possible. Bell System engineers achieved the first voice transmission across the Atlantic, connecting Virginia and Paris briefly in 1915. A year later they held the first two-way conversation with a ship at sea. However, these were just experimental demonstrations and it wasn’t until 7 March 1926 that the first transatlantic telephone call, from London to New York, was completed. 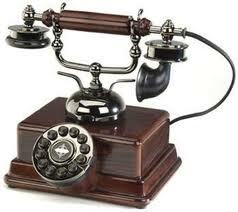 The first commercial telephone service, using radio, began on January 7, 1927, between New York and London. The initial capacity was one call at a time at a cost of $75 for the first three minutes.